Jimi Hendrix and Cafe Wha? Jimi Hendrix when he was still known as Maurice James. Had he lived, today would have been rocker Jimi Hendrix's 70th birthday (he died in 1970). Though his recording career was very short -- he released just four albums between 1967 and 1970 -- he had an incredible impact on popular music. Hendrix arrived in New York in 1966 to try his hand at the Greenwich Village music scene. He had been performing under the name Maurice James, which he soon changed to Jimmy James. After busking on the sidewalks of the Village -- wouldn't that have been a thing to see? -- Hendrix formed the Blue Flame, which served as the house band at Cafe Wha? on Macdougal Street. 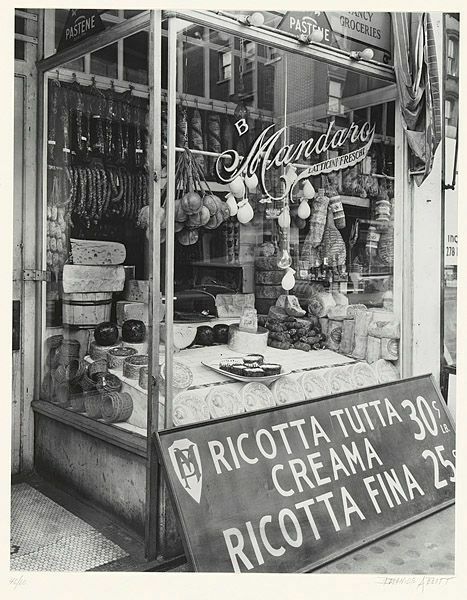 This was the same cafe where Bob Dylan had first performed when he'd arrived in New York in January 1961. Chas Chandler, the bassist for the Animals, came to see the Blue Flame perform at Cafe Wha?. 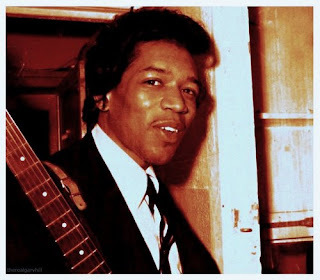 Impressed with the guitarist and the song "Hey Joe," Chandler invited Hendrix to come to London. The Blue Flame broke up, the Jimi Hendrix Experience was formed, and Hendrix's meteoric career took off. So, if you find yourself in the Village today, stop by Cafe Wha? to pay tribute to its place in rock and roll history. It has pleased Almighty God to hearken to the supplications and prayers of an afflicted people, and to vouchase to the army and the navy of the United States, on the land and on the sea, so signal and so effective as to furnish reasonable grounds for augmented confidence that the Union of these States will be maintained, their Constitution preserved, and their peace and prosperity permanently preserved; but these victories have been accorded not without sacrifice of life, limb and liberty, incurred by brave, patriotic and loyal citizens. Domestic affliction in every part of the country follows in the train of these fearful bereavements. It is meet and right to recognize and confess the presence of the Almighty Father, and the power of His hand equally in these triumphs and these sorrows. Having celebrated Thanksgiving in August, why did Lincoln then proclaim another one in November? The declaration for this second Thanksgiving seems little different from the first; there had been no major Union victories in the meantime for which the nation could express thanks; and Lincoln's proclamation doesn't make any ties to harvest festivals, the Pilgrims, or any of the things we now firmly associate with the holiday. 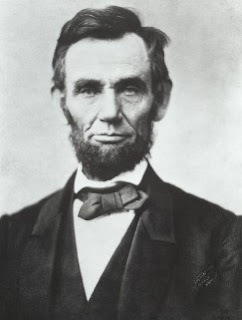 Had Lincoln not issued a second Thanksgiving proclamation in 1863, do you think we'd be celebrating the national holiday in August? Any thoughts are welcome in the comments. As Thanksgiving approaches, that means that Black Friday, Small Business Saturday, and Cyber Monday can't be far behind. 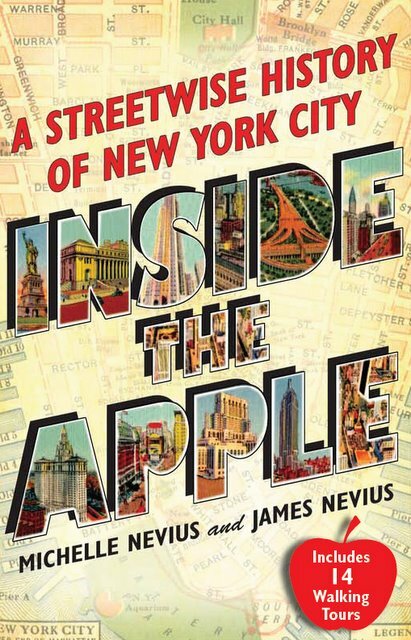 If you are shopping for a fan of New York City this holiday season, we'd just like to remind you that Inside the Apple: A Streetwise History of New York City makes a great present. 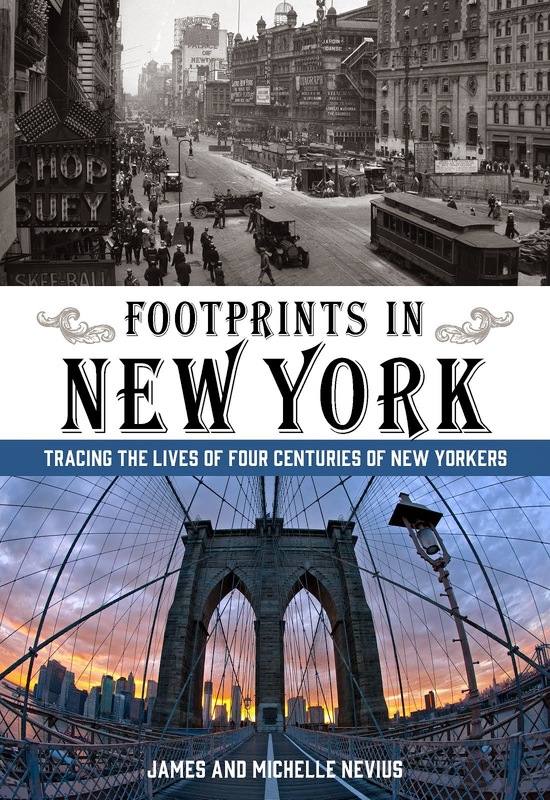 In 182 short chapters, we cover everything from pre-contact Manhattan to the rebuilding of the World Trade Center, with special attention to places that you can visit and explore on your own. Or, as the New York Times put it, the book is "a smart and entertaining window on the city of past." You have an array of buying options: Amazon.com currently has one of the best online prices. At Barnes & Noble's website, you can either order online or find out if your local store has the book in stock. And if you do want to support and independent, local bookstore this weekend for Small Business Saturday (and who doesn't want to buy local? ), you can use this handy website to find an independent book shop near you that stocks Inside the Apple. In New York City, we know that our friends at Shakespeare & Company always have it in stock. Have a wonderful holiday -- and don't forget that Sunday is Evacuation Day. One of New York's most influential architects was James Renwick, and yesterday may or may not have been his 194th birthday -- sources variously list the date of his birth as November 1, November 3, and November 11. We do know that Renwick was born in the Bloomingdale section of Manhattan (now the Upper West Side) in 1818. He was the son of Columbia College professor James Renwick, Sr., and Margaret Brevoort, the sister of Henry Brevoort, one of the city's most prominent landowners. Former mayor Philip Hone, now living on nearby Great Jones Street, soon tweaked the new parish’s congregants in his diary: "This is to be a fashionable church and already its aisles are filled…with gay parties of ladies in feathers and 'mousseline-delaine dresses' and dandies with moustaches and high heeled boots; the lofty arches resound with astute criticisms upon 'Gothic Architecture' from fair ladies who have had the advantage of foreign travel, and scientific remarks upon 'acoustics' from elderly millionaires who do not hear quite as well as formerly." 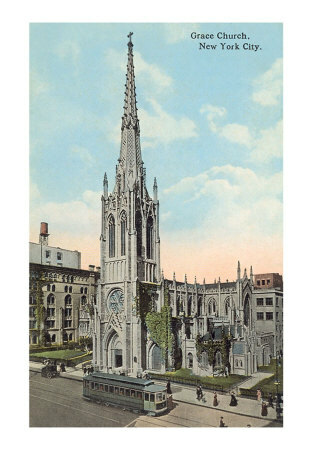 The other great New York diarist of the time, George Templeton Strong, took issue with the city’s sudden love of all things Gothic and levied his criticism squarely at Renwick: "If the infatuated monkey showed the slightest trace or germ of feeling for his art, one could pardon and pass over blunders and atrocities…. [Renwick is] caught up in the prevailing romantic preoccupation with keeps and dungeons illuminated by flashes of lightning and ringing with the clash of sword on shield." 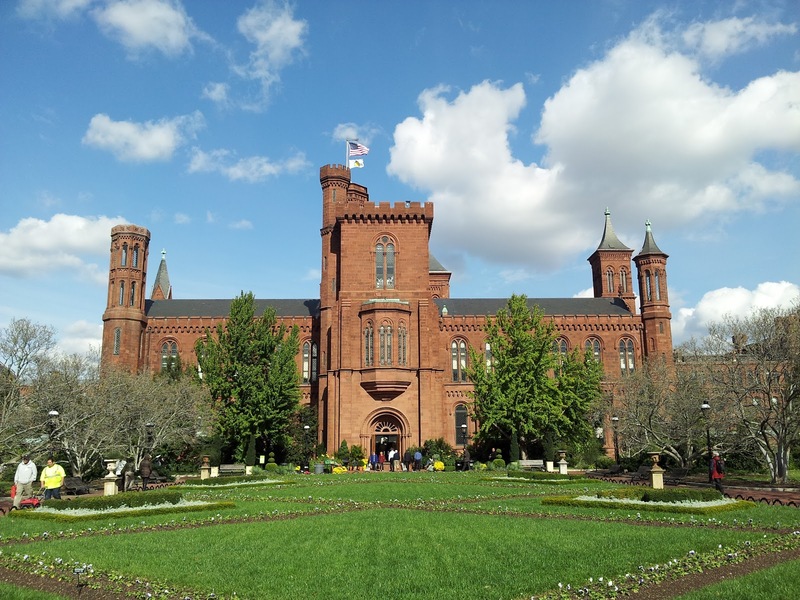 Hot on the heels of the success of Grace Church, Renwick won the competition to design the new Smithsonian Institution in Washington, DC. Built between 1847-1855, the original building -- today known as "The Castle" -- was a major influence on the widespread use of Gothic Revival architecture in America. Besides the Castle, Renwick's most famous work is probably St. Patrick's Cathedral, completed in 1879; however, New York is filled with other Renwick buildings, from the old Hotel St. Denis (across the street from Grace Church, now offices), to the row of apartments on West 10th Street known as "Renwick Terrace," to the Packer Collegiate building in Brooklyn Heights that was once the Church of St. Ann. It is nearly impossible to study 19th-century architecture in the city without experiencing and enjoying Renwick's influence. So, no matter what day you were born -- Happy Birthday, James Renwick!